This week was a bit better, we’re slowly getting used to not having the rats around anymore. It’s still hard though and there are moments where I still miss them all so much. The house is still too empty, although we’re sort of getting used to it now. There was enough to keep me busy this week, but I also had more time to relax, read and colour. Which was nice. I had a tour starting and another tour to send out the last materials before the start next week. 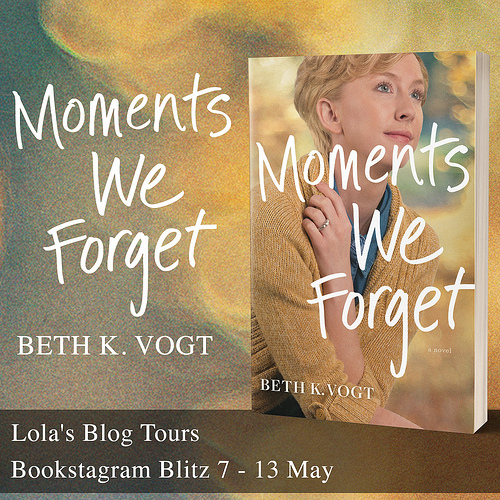 Things have been a bit slower at Lola’s Blog Tours, probably because authors have vacation too, so let’s hope it picks up again next week. Tuesday was my birthday and my mom and sister visited and we went out for lunch and then visited my grandma. I got an apron from my sister and a delicious home made lemon meringue pie, my sister makes the best pies! My sister, my mom and my sister her boyfriend all got a piece and I ate the rest, it was really good and it lasted multiple days. I love pies, but I hate making them, so getting pie is the best. Oh and can you believe I never had an apron until now? It’s red with fishes on it, it’s pretty cute. I already used it twice when cooking dinner. My mom got me matching oven cloth and teacloths. My mom and grandma also got me a new soft duvet covering for our bed, it’s dark brown and very soft. She also got me a new muffin tray as our old one was getting pretty bad. Beside that she got me a package to make muffins, some muffin cups and a shower mat. It was a bit of a busy day as I also had to get some work done after they left, but it was a nice day. Last saturday when we visited my boyfriend’s parents I already got their present for me, which were four new colouring books and pencils. I tried out one of the new colouring books this week. I also bought a few books for myself as birthday present. I got some nice responses to my pictures of last week, so I’ll continue to share pics about my daily life and products I buy when grocery shopping. I read 21 boks for this challenge so far, which is pretty neat! I finished Thor’s Serpents this week and started The Duality Bridge by Susan Kaye Quinn as evening book. 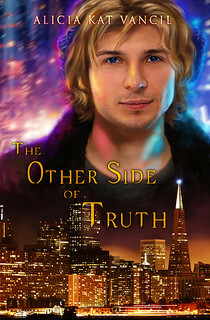 On my ipad I am still reading The Marked Ones series by Alicia Kat Vancil, I finished the second book The Storm Behind Your Eyes and am now reading The Other Side of Truth. It’s so nice to binge read a series in a row. I also bought the first book in her new series. Colouring Books and Pencils that I got for my birthday from my boyfriend his parents. I got started on a drawing in the lowest colouring book that says “Mandala Kleurboek” on the cover. It’s a very big colouring book, which makes for nice colourings, but it also takes a lot of time to finish one, so I hope I can show you a picture of that next week. 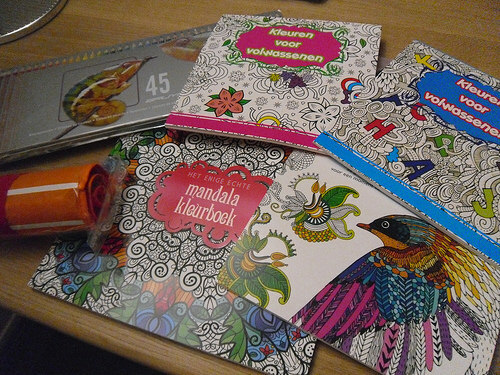 Oh and “kleurboek” is the dutch word for colouring book. The lemon meringue pie that my sister made for me for my birthday. It was delicious! 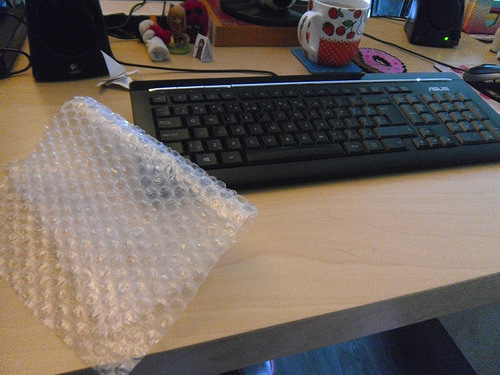 Bubble Wrap was a constant companion in my life this week. I am a very fidgety person, I can’t stand it when my hands are not doing something. It sort of calms me down to fidget. When I am very anxious I fidget most, but I also fidget when I am relaxed. So years ago my boyfriend bought me a huge roll of bubble wrap, best present ever, but the rats didn’t like the sound of bubble wrap popping. So I haven’t popped a lot of bubble wrap in the past few years and now I can’t cuddle and pet the rats anymore, so I went back to my bubble wrap. I don’t often buy frozen pizza, but when I do, I buy this brand. It’s one of my favourite frozen pizza brands. They are affordable and taste very good. Oh and the crust is actually good too, I hate frozen pizza’s that have almost no crust. I always buy this flavour as it’s the only vegetarian flavour they have, but I love this flavour so that’s okay. You really taste all the individual ingredients. I think Dr Oetker is a dutch brand? What’s your favourite brand of frozen pizza? I saw this in the discount e-mail I got and had to give it a try. I love yoghurt ice cream and when I noticed they sell it and it was discounted I just had to grab it. I tried it and it’s really good. The weird thing is that I don’t like bland yoghurts, but I love yoghurt ice cream as it’s less sour. Albert Heijn is the name of the supermarket I always go to and their brand is pretty good for most things. Albert Heijn is dutch supermarket, although they have stores in other countries as well, under different names. The company that owns Albert Heijn is called Ahold. I love shopping at Albert Heijns as their stores make sense to me and I can always find everything easily. I even worked in an Albert Heijn store for three years in the bakery department. 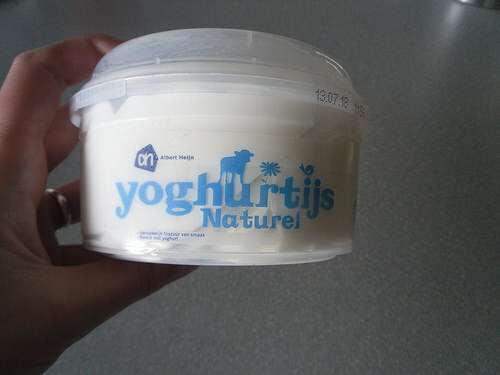 Here in the Netherlands we call ice cream “ijs”, so that’s what it says on the package yoghurt ice cream. What’s your favourite ice cream flavour? Longing can be a very dangerous thing. 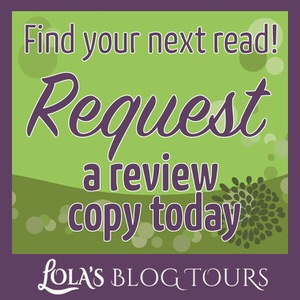 Reckless wild-child Sienna Kendrick has longed for one thing since she was thirteen—the attention of Thomas Zurent, the dashingly handsome son of the town’s wealthiest founding family. And on the night of the New Grand Cycle festival when this plucky weaver’s daughter turns seventeen she gets exactly what she desires. But is Thomas’ attention truly what Sienna wants? 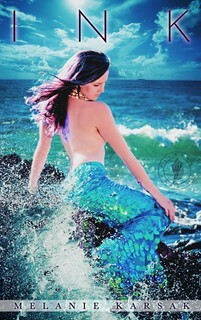 Or is she concealing a yearning within her heart for something darker—something taboo—something forbidden? The hour has come, the clock has struck fourteen, and per ancient accord, the thirty-sixth bride of the Harvest Wolf is about to be selected. But will she be his beloved…or his dinner? Beauty and the Beast, Red Riding Hood, and mythology collide in this re-imagined coming of age shape shifter romance. 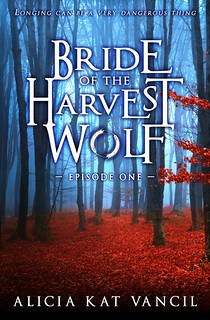 Bride of the Harvest Wolf: Episode One is approximately 27,000 words, and is the first of fourteen episodes in the Bride of the Harvest Wolf serial fairy tale. Hope you had a fabulous birthday….and there are so many fun designs for aprons now. They just make me want to cook so I can wear it hehe. I’ll have to try and remember to make a picture of my apron soon. I really like this design, it’s pretty cute and colourfull. The material feels realy nice and soft as well. I am so used to cooking without one, that I have to remind myself to wear it when I start cooking. Seeing that pizza has made me hungry! There is nothing better than a hot and tasty cheese and tomato pizza…I also like the Hawaiian versions! I think I might grab one out of the freezer tonight if I have the energy later. Another blogger reviewed pizza on her blog and I really have been craving pizza since then, so I had to buy one. I probably will eat the pizza tomorrow. I’m glad you had a good birthday! It looks like you really scored with the coloring books! The mandala one looks really cool. I love having frozen pizzas in the house. My kids like a brand called Amy’s and I like them too. They’re all organic and pretty tasty. http://www.amys.com/products/product-categories/pizzas And I like this Ionian Awakening American Flatbread Pizza. http://www.americanflatbreadproducts.com/ionian-awakening/ I prefer frozen yogurt to ice cream because it’s easier on my stomach. Whole milk really bothers me. I try to go out and treat myself to frozen yogurt every now and then with my kids. It’s fun and a tasty treat. Yeah I’ve got lots of variation in colouring books now! The mandala one is realy nice, although it’s a big colouring book, so each colouring takes a long time, but the end result is very pretty! We don’t have those brands of pizza here, but I did take a look at those sites andthey look yummy! I’ve only eaten frozen yoghurt once at a store here, I don’t think they sell any at supermarkets yet. My stomach is okay with milk, luckily. I am still so happy with that whole roll of bubble wrap, I cut tiny pieces from it to kepe it manageable and keep them with me to pop. The Lemon Meringue pie was so good! I tried to make it once myself and it was a disaster, so my sister offered to make one for me. Belated happy birthday Lola! I’m glad you are feeling a little bit better but I know it’s going to take time. Your colouring books look fab, I’ve neglected mine lately but I love relaxing over them while watching tv. 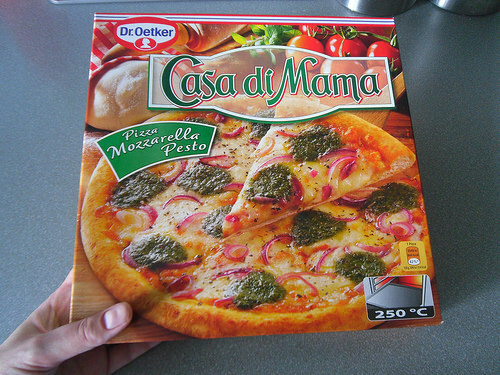 And I know I’ve seen Dr Oetker pizzas here but I don’t think I’ve ever tasted one. Do you ever make your own, I buy the bases in Aldi and then just add my own toppings based on whatever I have laying around in the fridge and they turn out delicious. 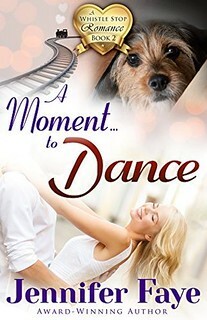 I like the look of A Moment to Dance and I’m looking forward to your review on it. Thanks Trish! I did a lot of colouring this weekend as I didn’t really feel like doing anything and just finished the first colouring in my new book, will take a picture for next week’s post. I sometimes make sort of my own pizza. I like picking my own toppings, but I haven’t found a good brand of pizza dough without toppings storebrought that I like. Maybe I’ll have to try Aldi’s dough next time, unfortunately we don’t have an aldi close by though. So my version of homemade pizza consist of buying a french bread and cutting it in four pieces and putting my own pizza sauce on top. I have a recipe post planned for that this month I think? 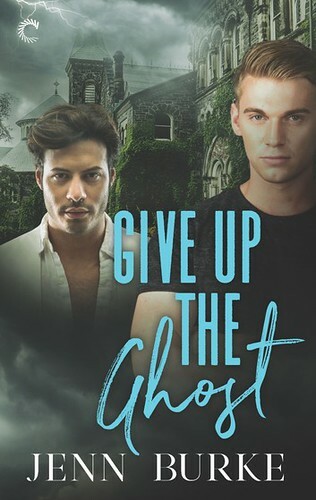 The first Whistle Stop romance was a 3 star read for me, but I loved the setting and liked the sound of the second book, so I am hoping I’ll enjoy A Moment to Dance even more than the first book. I was in the mood for a good small town romance, so I am hoping to read this one soon. Both of my rats are just over two years old now, so I know they won’t be with me for probably more than a year. I don’t plan on adopting anymore after they are gone. The heartache after losing one is just to much for me at this point. And I know that will take some getting used to. I’m glad you had a good birthday, that pie looks delicious. The heartache after losing them is really hard to deal with. And knowing they only live so shortly and you’ll lose them within a year once they are two is so sad to realize, I’ve had that with my rats too, that moment when you know they won’t be around much longer. But they are such great pets and maybe I’ll take rats again later or mayeb not, we’re not sure yet. They are awesome pets, but their short life span is hard to deal with, with a cat you know they probably will live for 10 years or so and know they will be around longer. Glad your birthday was fun! Lots of visiting, good pie, and nice presents. I love the idea of pie for dessert, too. I don’t prefer a specific pie flavor though I don’t like coconut so no coconut cream pie. I still haven’t found a frozen pizza around here that I like best though I do like french bread pizza once in a while. Hopefully your tours will pick up business when everyone’s back from vacation and the children are settled back in school. Oh my sister once made a delicious coconut pie, I might have to ask her to make that next time. I am not a big fan of fruit pies as I am picky when it comes to fruit. I do like banana and apples in pie. I like french bread pizza as well, although it does taste very different from normal pizza. I am glad I found this pizza brand as some frozen pizza brands are very bad. I once ate one that was so bland I just threw it away. I already got a few more e-mails this week, so I hope in a week or two everyone is back in their normal ritme and business will pick up as well. I don’t handle those slow weeks very well, although I think I did okay this week by colouring and relaxing more. Awesome haul of books this week. I hope you love all your new books. That pie looks great. The pie was delicious! And yes I got a lot of new books this week, which is nice once in a while. Now let’s hope next week is a bit calmer. Happy Birthday! I love the coloring books you received and that pie looks delicious. I hope you have a great week! Thanks! I am really happy with the colouring books and the pie was delicious! I am so sorry about the loss of your pets! It is a difficult thing. Glad you had a great birthday celebration. I could eat myself sick on mint chocolate chip ice cream. Hope you have a good week. It’s been hard to lose them and not have them around anymore. Luckily this week was beter than last one, being busy and celebrating my brithday helped. I don’t think I have ever eaten mint chocolate chip ice cream, that flavour isn’t as popular here for some reason, wil have to see if I can find it once. Thanks Anna! The pie was so good, especially because last time I treid to make this pie it failed miserable. I’ll have to try to remember to make a picture of my apron. It looks like you are plenty busy! 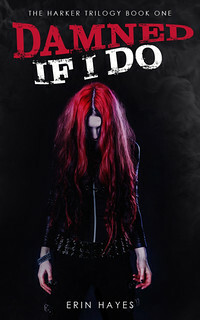 Damned If I Do is one I’ll be going over to check out. Like that catchy title. I’m waiting on a couple of coloring books to arrive. I just know I’ll get addicted. LOL Happy Birthday!!! 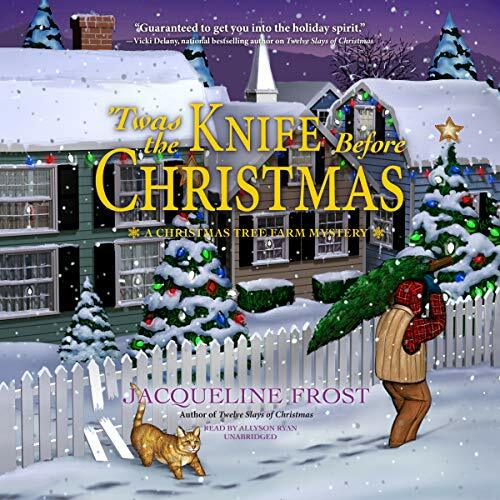 I read one of the author her other books and really enjoyed it so she offered me this one for review as well. I am hoping to start it next. I really like the cover as well. Colouring is pretty addicting, but also a lot of fun! Looks like you had a great birthday! 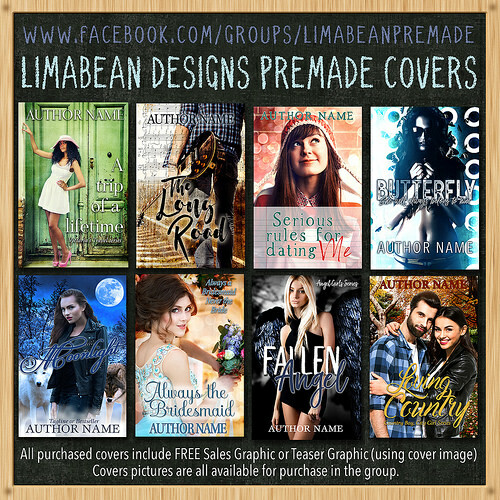 You also got some great looking books I hope you enjoy them! Thanks Stormi! I am really happy with this week’s haul! 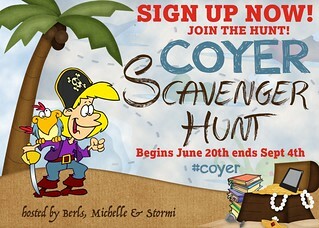 I am not doing very well with COYER this time. 🙁 I love the coloring books! It’s just I hate to take away reading time by getting mine out and coloring. Great haul! 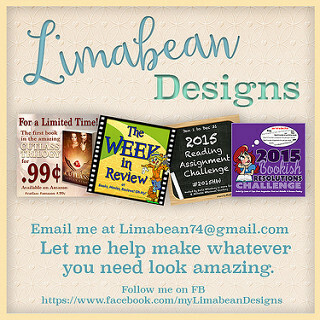 You can check out my post in the link below! I had hoped to read more books, but I still did well, especially considering what a bad summer I’ve had. I also have that problem, making the decision to read or colour is hard, sometimes when I have enough time I colour first and then read, those evenings are the best. I love colouring books, they are the best and they are so relaxing. 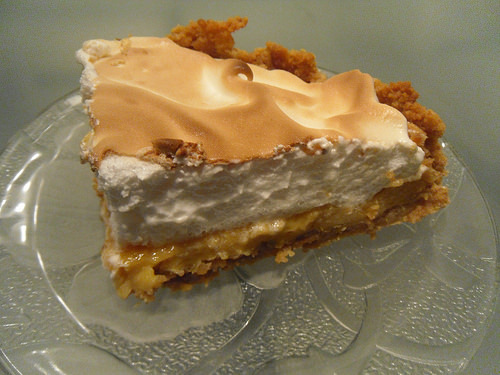 I love pie, especially lemon meringue and yours looks lovely. It is so strange without a pet in the house, I hated it when we lost our first dog four years ago, you are right the house just feels empty. I hope you have a good week and get lots of use from your new apron. Thanks! I am really enjoying the colouring books they are pretty relaxing and addictive at the same time. I love pie, but I hate making them myself for some reaosn, so I was so happy to receive a pie from my sister. It was delicious. The house feels empty and a bit lonely now, I still can’t fully get used to it. I already used my apron twice, I really have to remind myself to use it as I am so used to cooking without one, but I am really happy I have an apron now. Happy Birthday and yum that pie looks delicious.I am glad you had a nice visit. Your haul has some books I a curious about. 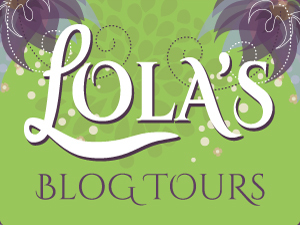 Hope Lola’s Blog Tours picks up as we enter Fall. Thanks Kimba! The pie was really good! I hope business picks up again in fall, it always seems to go in waves a bit, some slower weeks and then some busier weeks. Happy belated birthday, Lola!! It sounds like you had a fabulous day. 🙂 And that pie…you made me hungry for pie and my birthday isn’t for 7 more months! *haha* I’m glad you got yourself some coloring books. 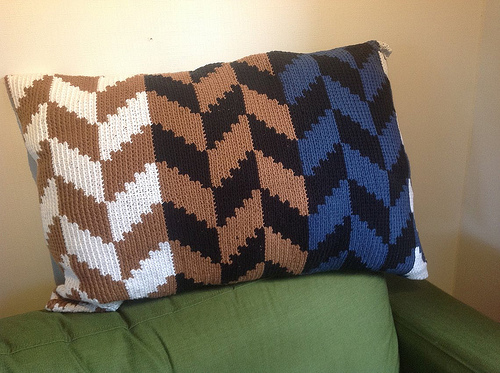 I love to color myself so I look forward to seeing your projects. 🙂 I hope you’re having a great week so far! Thanks Brandee! I had a fun day and it was nice to go out and spent some time with my mom, sister and grandma. The pie was delicious! 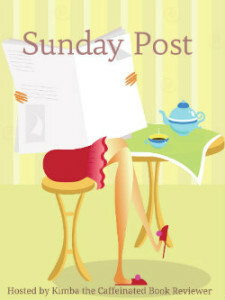 I’ll try to share a picture of the colouring I finished this week in next week’s sunday post!